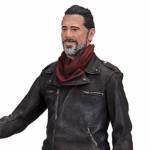 A standalone version of The Walking Dead 5″ Scale Negan Figure is coming exclusively to Walgreens stores. The figure, which will also be part of a standard release 2-pack with Glenn, looks to be largely unchanged from the 2-pack version. 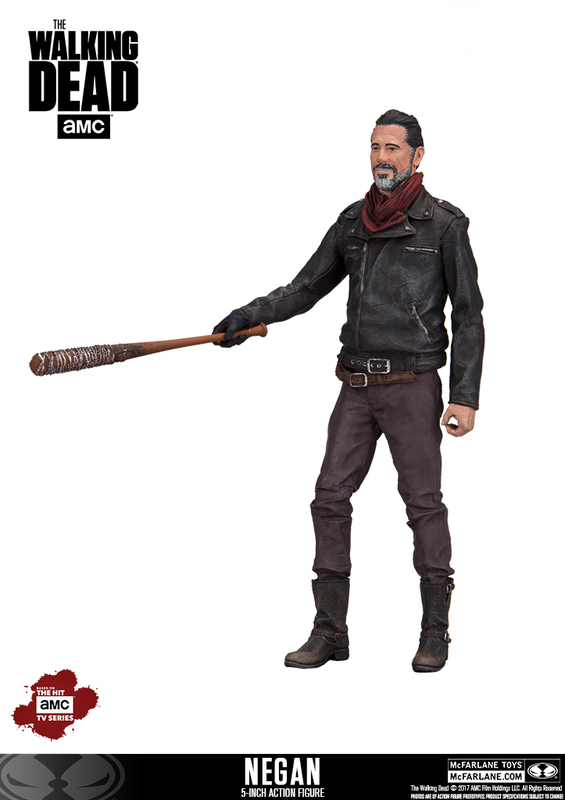 The figure will have over 22 points of articulation and will include Lucille, his barbed wire baseball bat. After ruthlessly executing Abraham and Glenn at the hands of his beloved “Lucille,” Negan used them as an example to remind Rick and the other survivors that he owns them and that he now gets half of what they have. This chain of events forces Rick and the group to return to Alexandria to inform the others that Negan is now in charge. This figure is a Walgreens’ exclusive. Look for the Negan 5″ Figure to be released sometime this Fall. It will be priced at $15.99. Click the thumbnail for a larger photo. This will be the last TWD figure I buy. The series is overwrought at this point, in comics and in show. It was a good run, but returns are seriously diminishing.